This fine lady is Isabel A Hampton Robb. Isabel was the first president of the ANA. She was an activist, and so were her friends. Isabel was carrying a bouquet sent to her by Florence Nightingale when she got married in 1894. Yes sir, Isabel rocked! Isabel revolutionized nursing education while improving patient care. 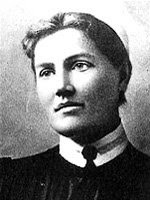 She loved the nursing profession, and that's why she would be wagging her finger at the ANA and scolding them about their shameful behavior. Isabel would be truly appalled by how the ANA is attempting to undercut the grassroots campaign to establish the Office of the National Nurse. She was an honorable woman who would be shocked by the ANA’s campaign of disinformation. The ANA is knowingly circulating a letter of opposition to other nursing organizations that contains outdated information about the proposed legislation. The proposal has been updated, which is a well-known fact within the ANA hierarchy, yet they continue to circulate their deceptive letter. The proposed legislation to establish the ONN would give more recognition and resources to the Chief Nurse Officer of the United States Public Health Service. Did you know that the Chief Nurse Officer of the USPHS is only funded as a half time position? Isabel would be dumbfounded at the ANA’s blatant tactics, and by their total disregard for a proposal that would improve the health of all Americans while raising the profile of the nursing profession. Isabel would want to know why the ANA isn't following their own code of ethics. Kim from Emergiblog wrote a post about this issue several months ago, and I encourage you to read her comments. Check out these ladies. These women are links to our past. They advanced our profession, and their work continues to impact our lives. Let’s do nothing less for the public, and for our future generations of nurses. 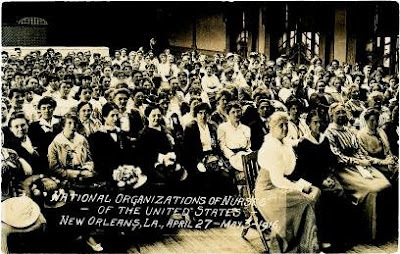 To learn the truth about the proposal to establish the Office of the National Nurse, please go to www.nationalnurse.org. Hi Katie Bee, RN. Thank you for your response to my post. We are asking that the ONN be created within the existing office of the USPHS. 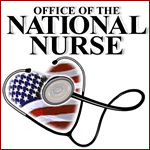 We are also asking that the title of CNO of the USPHS to changed to the "National Nurse." Google "Chief Nurse Officer", and a bizillion hits pop up on the computer screen. People are telling us that the CNO of the USPHS is already the National Nurse. That's great, we agree, so let's give her the title and the resources to go along with the job. Funding for health care is an issue, and we will be saving our government a lot a money if we focus our efforts on prevention. I think there is a greater question concerning the ANA. Why are they engaging in this campaign of disinformation? Could it be that they know that this is a good idea, and they have no other way of disputing our proposal?